These dishwasher buying tips will help you choose a model with the features and functions that are right for your kitchen. In this dishwasher buying guide, let’s look at dishwasher prices, types and brands to consider. Are you building a home or remodeling the kitchen? If so, a built-in dishwasher will be easy to install. It offers a couple of advantages. First, it’s never in the way. Secondly, because it is installed within the cabinetry, a built-in dishwasher will be quieter than a portable model. Finally, built-in dishwashers offer more feature options because there are more models from which to choose. If you’re renting a home, then a portable dishwasher is a great idea. It goes with you when you leave. Other reasons for selecting a portable dishwasher include not having cabinet space to give up for a built-in dishwasher and not wanting the expense of installation. In addition, quality portable dishwashers have a nice top that can be used like an island for food preparation. Compact dishwashers are 18 inches wide and have a capacity of eight complete settings of five pieces. Standard models are 24 inches wide and have room for 12 place settings. Tall tub models are also 24 inches wide, but there is more interior space. A total of 14 place settings fit in a tall tub model, and they are also ideal for large pots and pans. Compact dishwashers are ideal for small kitchens or for those who don’t use large pots and pans. Standard models are versatile and a good size for most families. Tall tub models are best for those who do a lot of entertaining or bake often with large pans. In general, the more features it has, the more the appliance will cost. Do you have young children or are there others in your home who are susceptible to illness? If so, it might be worth the extra expense for a sanitizing cycle like that offered on the Maytag Jetclean Plus. 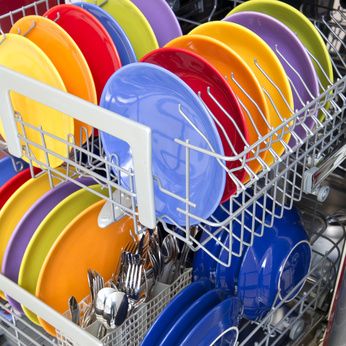 Do you own fine china and stemware that you plan to wash in the dishwasher? If so, look for a unit with a gentle cycle for these items. Do you want an environmentally friendly dishwasher? Look for energy-efficient models with the Energy Star label like the LG TrueSteam dishwashers. Most major brands make Energy Star models. Other features you may want to look for include a stainless steel drum, delay start, drying cycle, removable top rack, secure small-items rack, multiple cycle options, touchscreen interface, digital controls, child lock, smart functionality that will send you a text message when the cycle is done or the dishwasher needs maintenance, built-in food disposal and controls on top of the door that are not visible when the door is shut. Take your time shopping. 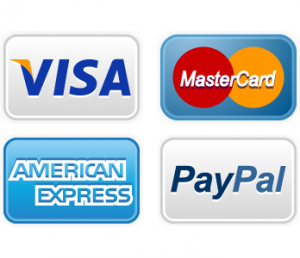 Get to know the features available and how they affect price. Don’t pay extra for a dishwasher with features you won’t use! All the large home appliance retailers like Home Depot and Lowes have periodic sales during which you can save a significant amount of money. You might consider going online to their sites and subscribing to an email newsletter. Sales are often announced and coupons given through those newsletters. Here’s a look at average dishwasher prices for the major types. The brand, quality and features will determine the final dishwasher cost. There are quite a few really good dishwasher brands available today. The top brands currently available include Whirlpool, GE, Electrolux, Maytag, Kenmore, Jenn-Air, KitchenAid, LG, Samsung, Amana, Frigidaire, Fisher & Paykel, Dacor, DCS, Westinghouse, Tappan, Admiral and Bosch. Once you’ve chosen the right dishwasher for your home, keep us in mind. 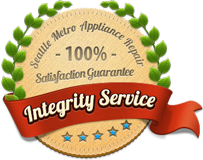 When it needs maintenance or repair, we’ll come running with the best dishwasher repair in Seattle. We’re here for you whenever any appliance in your home needs to be fixed.